This review was originally posted on my Goodreads profile on November 21, 2011. I love the YA genre, but I never thought that I would come across a piece of literary genius in its midst. Ransom Riggs brought one to us. Jacob is a social outcast from a prominent and wealthy Jewish family. He does not seem to relate very well to anyone in his family, except for his grandfather, Abraham. Abraham always had fantastic stories for Jacob about his growing up at a school in Wales that he attended after fleeing Poland during WWII. All of the stories were extraordinary (in the sense that there was nothing ordinary about them) - some scary, some merely outrageous - and unbelievable once Jacob reached a certain age. The story is focused on Jacob and his search for the truth after a horrible tragedy causes his mind to seemingly break. His journey for sanity leads him and his father to Wales and to Miss Peregrine's boarding house. We see Jacob, as well as his father in some ways, come to terms with who his grandfather really was and face the demons of his grandfather's past. Jacob is also faced with the task of finding himself, and deciding what is most important to him. I really appreciate how WWII, the Holocaust, and Jacob's life as an outcast from both his family and age group plays a role in telling the story. There are so many various double meanings and symbols used to tell this story, but to give any of them away would spoil the story itself. This is a great start of a new young adult series, and I eagerly anticipate reading the next book. This was, without a doubt, one of my favorite books of this year. 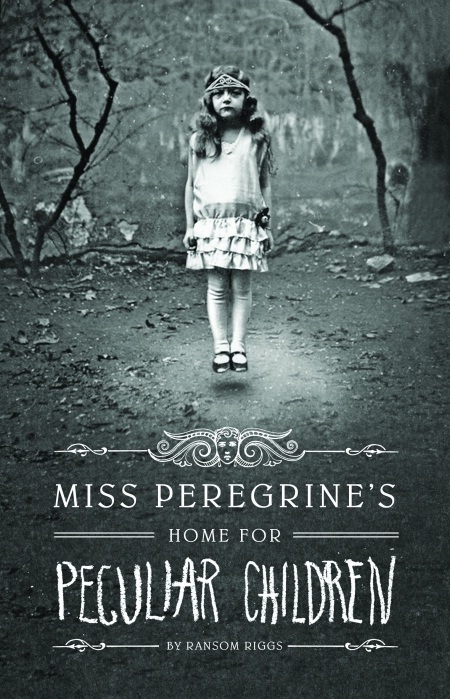 Be sure to watch for the sequel, Hollow City - it's out on Tuesday, January 14th! Sounds FANTASTIC! Just added it to my goodreads! Cannot wait to dive into this one! Great review. I can't wait to read the sequel!